I love Cape Cod weddings. Well, I really love the Cape. I grew up down there in the summers, lifeguarding and working the beaches. In 20 years my skin my not love me. When Aislinn and Derek contacted me through their sister to have me shoot their Cape wedding, I practically jumped at the chance. 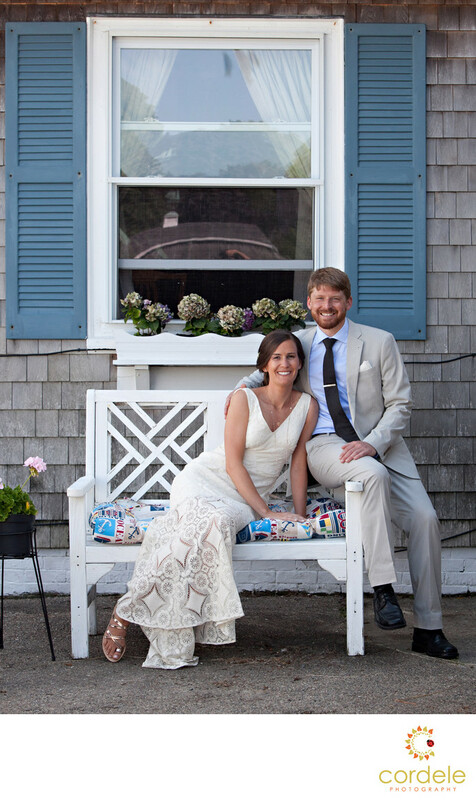 They had a tented wedding at a private house in Yarmouth Massachusetts overlooking Lewis Bay. The details of the wedding were to die for. Aislinn designed all the favors for the guests to take home. Glasses with their names etched in them. They were able to use the glass at the wedding (as to not lose the glass) and then rinse them out and brought them home. As table place cards, Aislinn and Derek did something I hadn't seen anyone ever do. They gave everyone a book, but not just ONE book, they picked up individual books that they thought their guest would like. Inside each book, they hand wrote a note thanking the guests for coming and told them why they picked that book for them. It was truly something unique that I hadn't seen done before. I thought the personal touch of doing that was really nice. It took a lot of time, just like it took people to come to their wedding.